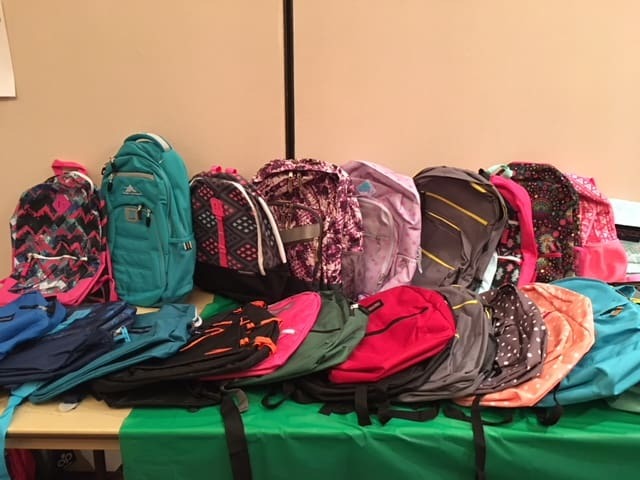 A Successful 2018 Backpack Program! 220 NEW BACKPACKS & SUPPLIES were distributed to area children recently, thanks to the generosity of many donors. 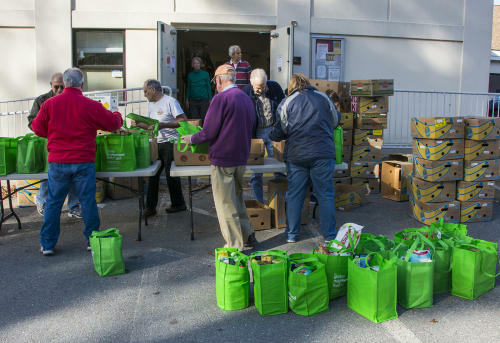 We are grateful that the UCC in Groton agreed to adopt this important program and that Carrie Bergeron, our Program Coordinator for many years along with her family, agreed to shepherd the transition. A special thank you to the ladies from Atmosphere Salon in Westford for adding a new twist to the event by providing back-to-school haircuts to a number of children. Previous PostTHANK YOU VOLUNTEERS!Next PostLoaves & Fishes Celebrates With A Ribbon-Cutting Ceremony!